SABC PLANS TO AXE 981 WORKERS! 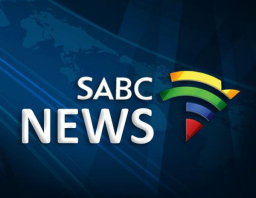 THE South African Broadcasting Corporation (SABC) is preparing to retrench over 981 workers. SABC chairperson Bongumusa Makhathini, says 1200 freelancers will also be affected. According to Makhathini the public broadcaster looks at taking productions of several shows in-house, instead of outsourcing it to production companies. The SABC issued a notice to all staff informing them of the SABC’s intention to proceed with Section 189 of the Labour Relations Act (“LRA”). “It is envisaged that all employees and at all levels in the SABC will be affected by the restructuring. This would include Group Services, Provincial Operations, Commercial Enterprises, Media Technology and Infrastructure, News, Radio, Sport and Television,” Makhathini said. He said should retrenchments be necessary, it is envisaged that 981 employees may possibly be retrenched as a result of the restructuring, across all the aforesaid business units and operations of the SABC. Out of the 2400 freelancers, 1200 will be affected.